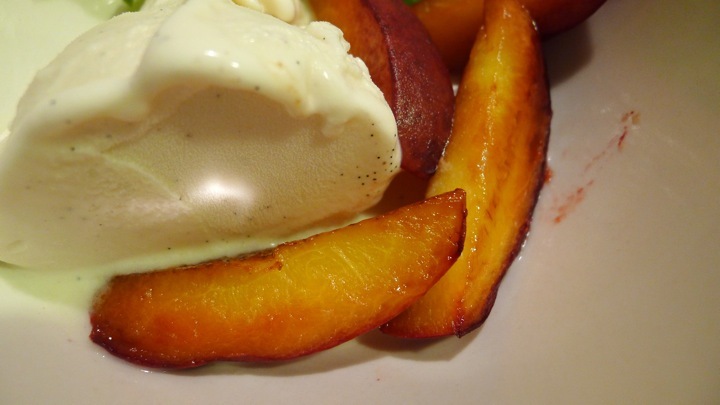 This couldn’t be easier to do- all you need are peaches and ice cream! 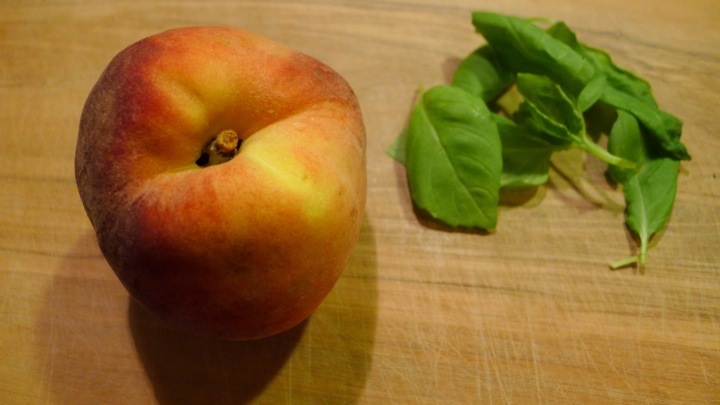 If you have a grill you can grill the peaches which is even better, but roasting or sautéing is just as good! 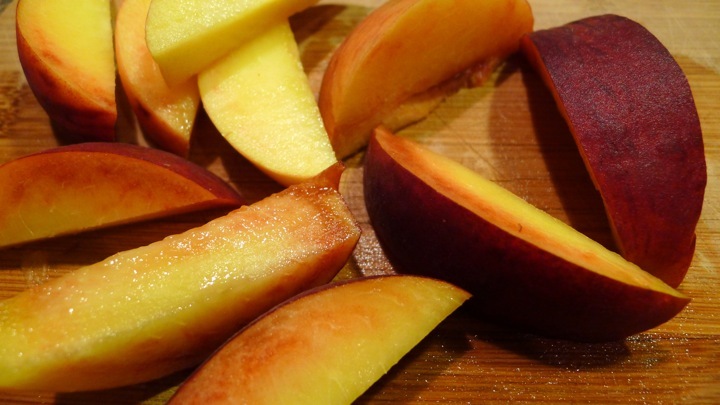 Slice the peach in half, remove the pit, then slice into smaller pieces. 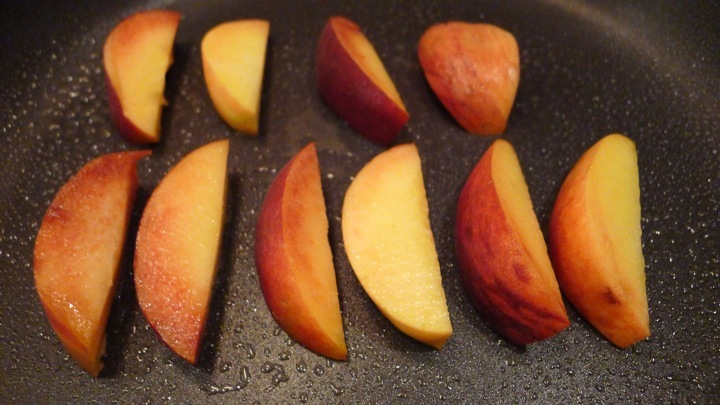 Add a little coconut oil to a pan over medium heat. I have coconut oil spray from Trader Joe’s which is amazing. 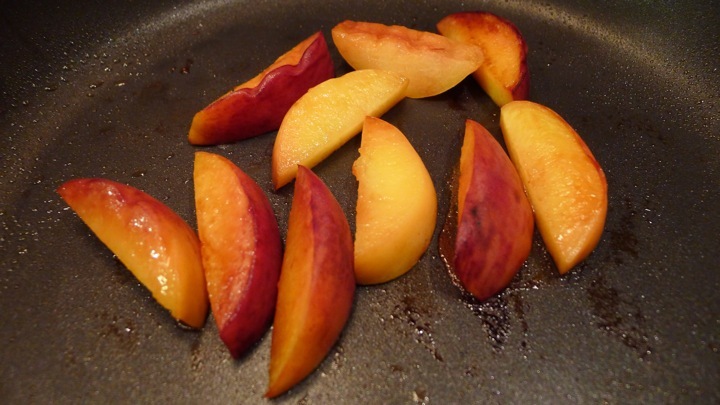 Add the peaches to the pan and cook until softened, flipping occasionally. 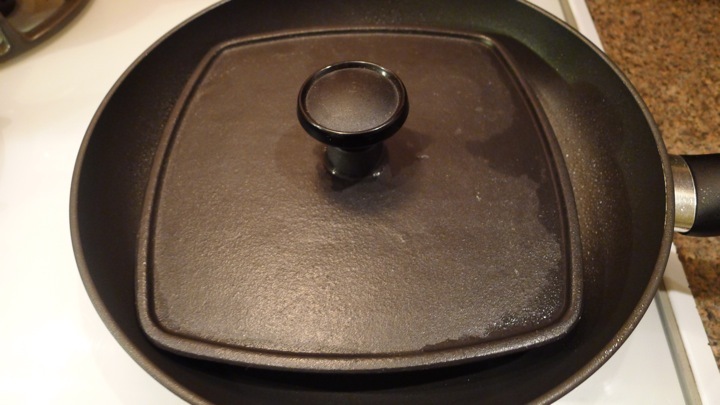 My mom had given me a panini press for Christmas last year, so I used that to get a good sear on the sides. 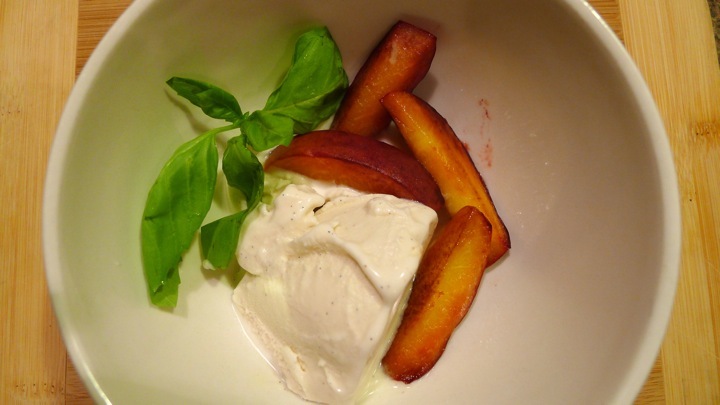 Add some vanilla ice cream to a bowl, top with roasted peaches and torn fresh basil leaves! 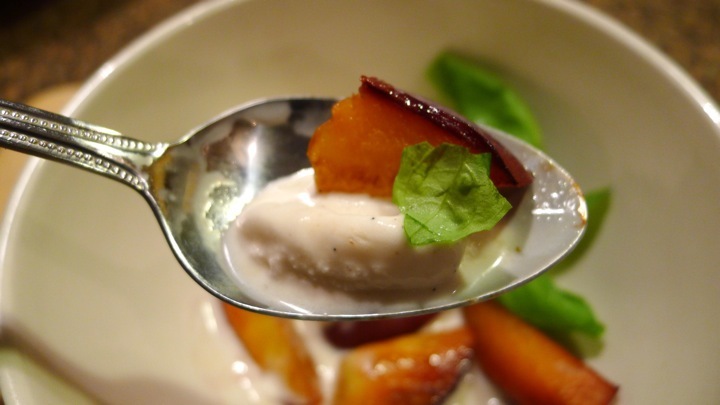 If you have the time, I would recommend adding a balsamic glaze to this, it’s delicious and fairly easy to make.